This Bible reading plan and journal provides 31 Scripture references ideal for one month of realizing and remembering that God is bigger than anything. You’ve been doing your best to put one foot in front of the other. But just when you begin to feel like you’re learning to rely on the Lord, boom. There it is. Another mountain to climb. Each day of this Bible reading plan and journal includes one focus word and simple memory statement to encourage you to recognize that God reigns from the throne of heaven and controls every detail on earth. Specifically designed to help you remember to spend time with God each day and enjoy his love letter to you, the simplicity of this Bible reading plan and journal makes it one you’ll long to share with others. Through this Bible reading plan and journal, you’ll marvel at God’s sovereignty and embrace the power of His work in you. Yes, God is bigger than anything you face! 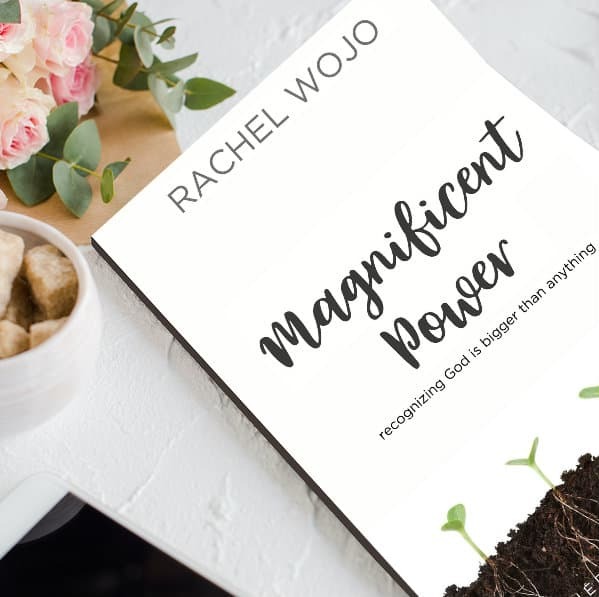 The Magnificent Power Bible reading plan and journal provides 31 Scripture references ideal for one month of realizing and remembering that God is bigger than anything. You’ve been doing your best to put one foot in front of the other. But just when you begin to feel like you’re learning to rely on the Lord, boom. There it is. Another mountain to climb. Each day of this Bible reading plan and journal includes one focus word and simple memory statement to encourage you to recognize that God reigns from the throne of heaven and controls every detail on earth. Specifically designed to help you remember to spend time with God each day and enjoy his love letter to you, the simplicity of this Bible reading plan and journal makes it one you’ll long to share with others. Through this Bible reading plan and journal, you’ll marvel at God’s sovereignty and embrace the power of His work in you. Yes, God is bigger than anything you face!